We are always open to and looking for healthy ways to minister to and plant roots within the community — especially in ways that Jesus’ ministry through us can be carried out. 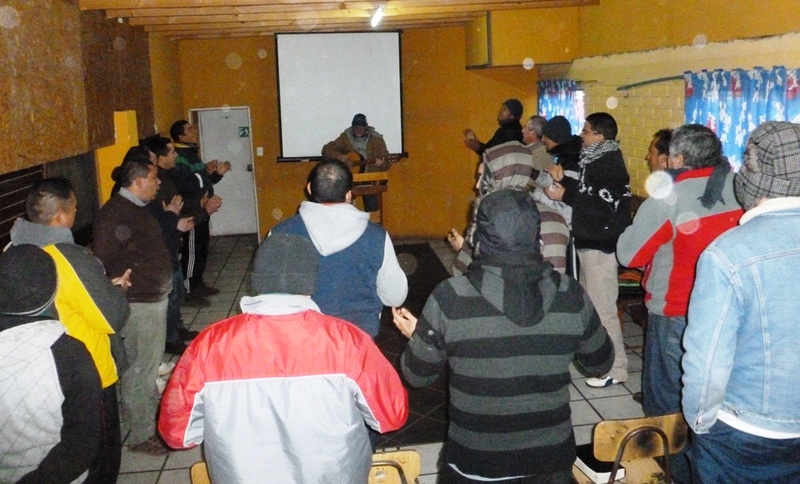 Two such ministries have been the English Club and monthly teachings at a Christian live-in drug rehabilitation center for men, La Casa del Alfarero (the House of the Potter). English Club meets once per week. The Club began several years ago as a pre-evangelistic outreach to teens and adults from the surrounding area. 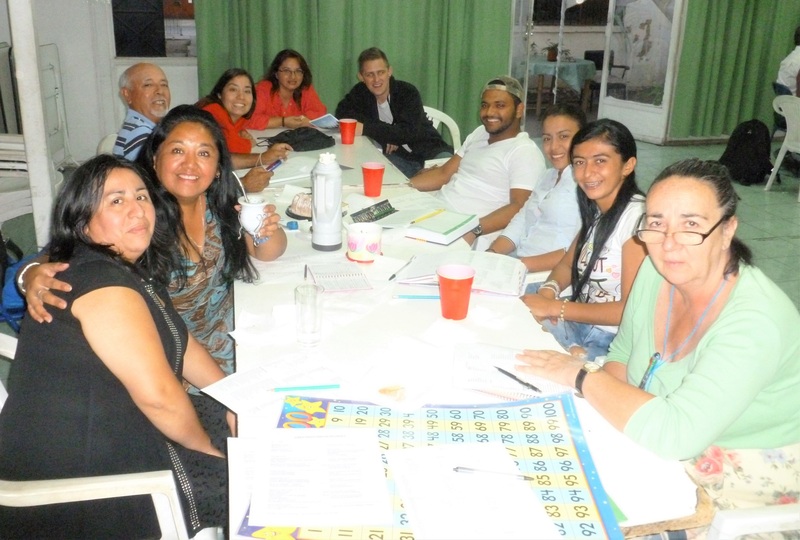 It’s entertaining and very effective in helping Chileans that participate improve their English–whether they enter as basic or advanced students. Building healthy relationships is the goal, which in turn builds friendships, confidence and the possibility of discussing faith and God. In different ways, basic Christian teachings are built into the curriculum and we have Bibles for those that request them. 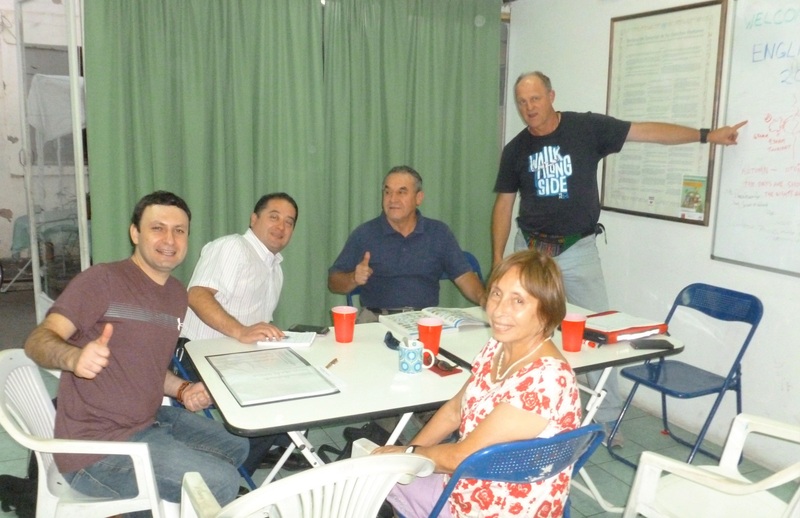 Two past English Club participants became Christians and were baptized in the church. The two photos are from 2017 show first on the left, those just starting to learn English and on the right, those advanced speakers learning more.